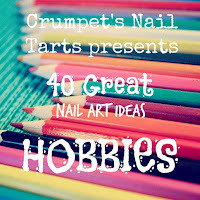 One nail art challenge ends and another begins. 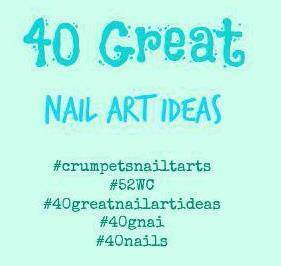 I've joined up with Crumpet's new nail tarts to bring you 40 great nail art ideas every week for a year. Yep, this one is a mammoth commitment of a mani a week for 52 weeks! What are we thinking? Today we start with our first prompt, hobbies! 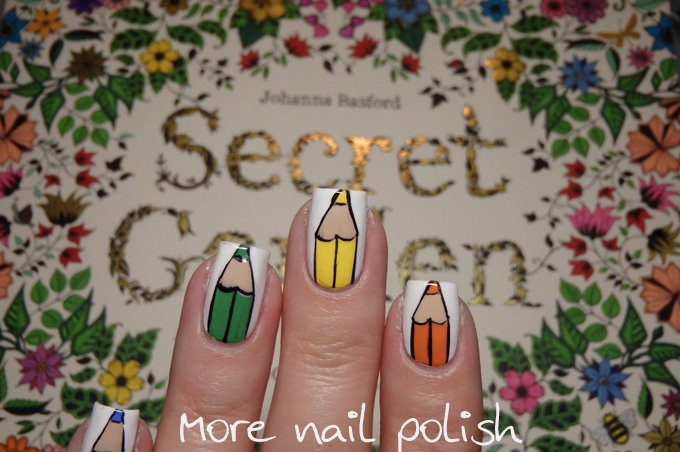 The immediate idea of nail polish and nail art came to my head. 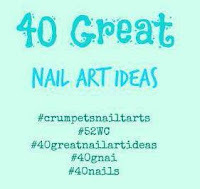 I had some great stamping images with nail polish bottles on them and it would be super quick and easy to do, but then again, you all know that my hobby is nail art, nail polish and generally hoarding bottles of polish. So I decided to choose something else that I enjoy. Colouring! Yep, I enjoy colouring in those adult colouring books. Specifically I'm working in Joanna Basford's Secret Garden at the moment. It's gonna take me ages to finish that book. I'll probably never want to see a green leaf or flower to colour in again after I finish it! 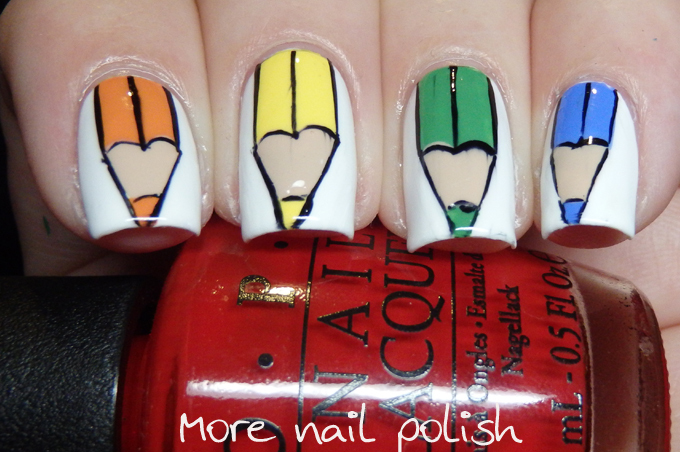 For my nail art I did a rainbow selection of colouring pencils. Painted freehand these are pretty easy and quick to do. I love this! I also love those adult coloring books -- personally I print out individual pages online :) So relaxing! 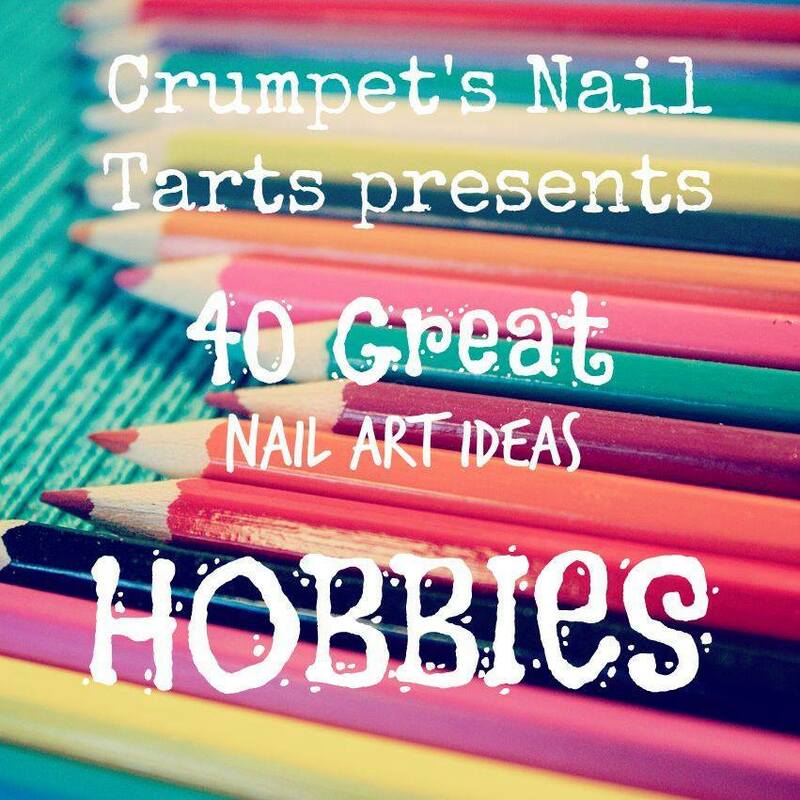 What a terrific idea to do hobbies for a mani theme! I love coloring books and have several friends that do too. 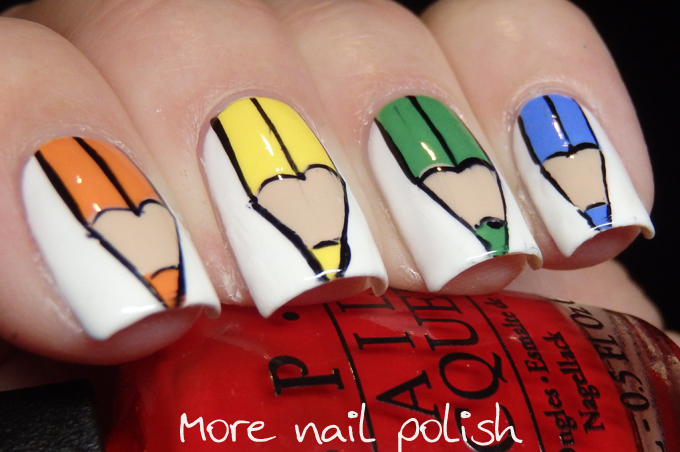 What an awesome mani! 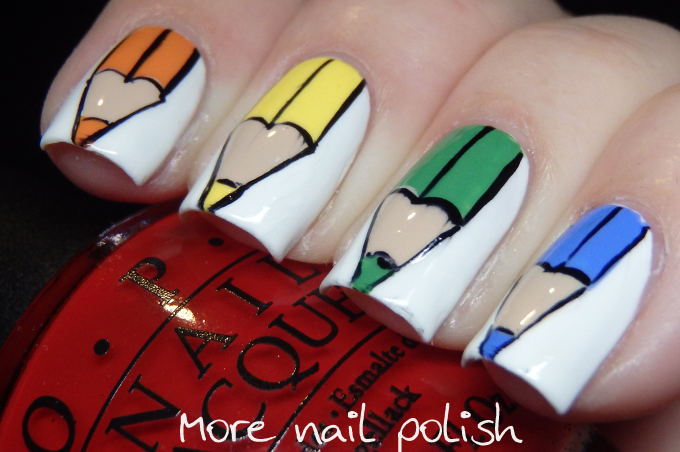 Please, please...what were the polishes you used for the coloring pencils? Thanks, Delphi! 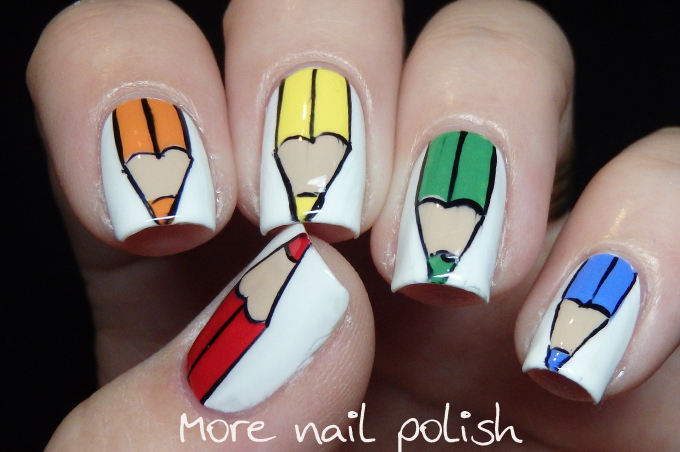 Wow, such a well executed mani! Love it.